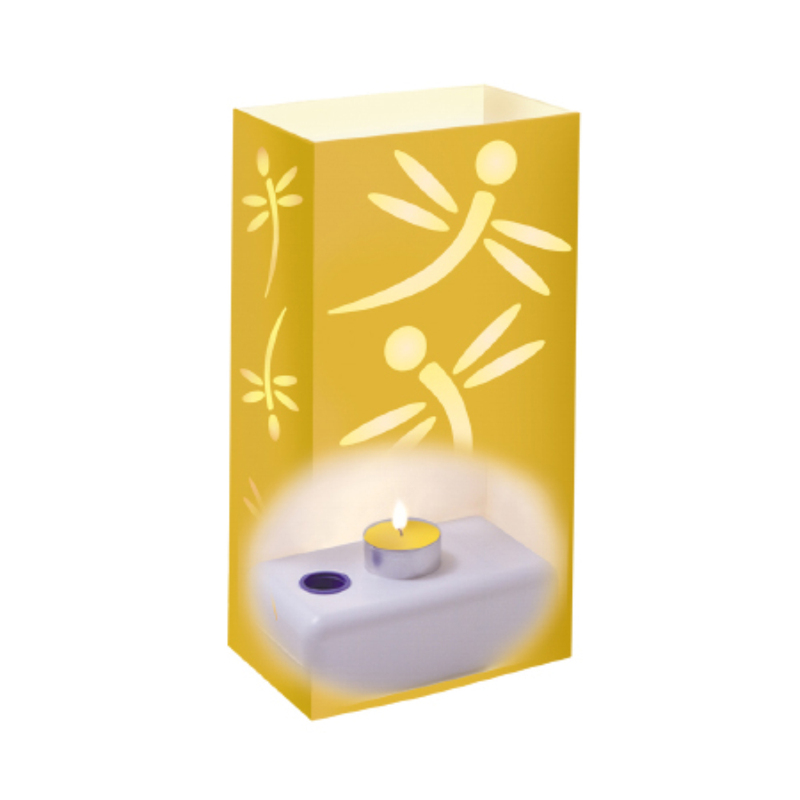 Dragonfly LumaBase Luminaria Kit is a decorative traditional candle lit Luminaries. They are ideal for lining your walkway or pathway to welcome guests for any special occasion. LumaBase Luminaries are an easy and temporary way to make a big impression. Only LumaBase Luminaries combine a unique decorative accent with a simple functional design. No more dirty messy sand and wind collapse with LumaBase Luminaries. LumaBase flame resistant water filled candle holder. Its cover is a LumaSleeve flame resistant die cut insert that creates a unique design and prevents wind collapse. Reusable LumaBase and LumaSleeves can be used for many occasions. 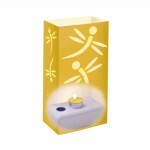 This is the only complete all in one Luminaria kit available. Brand- J H SPECIALTIES INC.
Metropolitan Wholesale is New Jersey and the New York Tri-State areas one stop source for Dragonfly LumaBase Luminaria Kit and all things garden related at wholesale prices. We carry a full selection of wholesale statuary, fountains, tools, cut flowers, planters and pottery, tropical plants, annuals, perennials, seeds and much more.